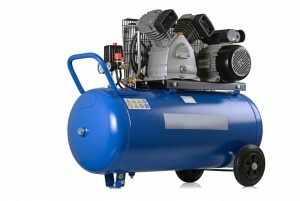 Two common types of compressed air dryers are refrigerated and desiccant. It is important to learn from a reputable compressor air filter supplier in Richmond how each drying technology works to learn which is best for your application. Refrigerated dryers work by cooling the air to low temperatures and condensing much of the water vapor. It is not possible to achieve dew points below freezing with a refrigerated dryer. Refrigerated dryers that are optimally designed can produce air with dew points to approximately 36°F (2°C). Since some water vapor is left in the air, these dryers should not be used in applications that are water sensitive. On the other hand, desiccant dryers operate by passing the compressed air over a bed of desiccant material which absorbs water vapor molecules. When the bed capacity is nearly saturated, the air flow switches to a second bed of desiccant material. The first bed is then regenerated. Desiccant air dryers can deliver air at consistently low dew points. This technology is an excellent choice when the compressed air is subject to freezing conditions. While heated desiccant dryers use heat to remove water vapor from the desiccant material not in use at that point in the cycle, heatless dryers use the dry air to remove water vapor from the desiccant material. This entry was posted in Uncategorized on September 30, 2018 by 11688097. Greenleaf Filtration offers a wide array of liquid bag filters for the unique needs of your facility. With a wide range of micron sizes, our inventory of bag filters can support many industries, such as chemical, food, and paper. Keep reading for some information on three popular types of liquid filter bags from our industrial filter supplier in Richmond. Felt bag materials meet FDA regulations and can carry a high capacity of dirt. They are typically offered with micron ratings from 1 to 200. With felt bags comes the ability to remove both solid and gelatinous particles at a low cost. 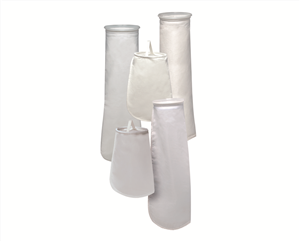 A singed or glazed finish over polyester and polypropylene reduced fiber shedding of these liquid bag filters. Steel-ring bags have a galvanized steel ring sewn into the top of the bag, while plastic flange bags have a specially-designed flange. Handles are standard on both types of felt liquid filter bags. Mesh filtration bags also meet FDA regulations and are offered with a micron rating of up to 1500. These bags allow for economical removal of nondeformable contaminants and are compatible with a wide array of chemicals. Like felt bags, mesh bags have handles and are available with a steel ring or a flange. The design of a PEPT liquid filter bag incorporates single or dual layers of Phenolic Resin Textile. Unlike cartridges, PEPT’s filter bags contain the contaminants securely inside the bag. They are available in micron ratings from 1 to 200 and offer an excellent removal of gel-like particles. Handles are standard on all PEPT bags, along with the choice of steel ring or plastic flange. This entry was posted in Uncategorized on September 15, 2018 by 11688097. 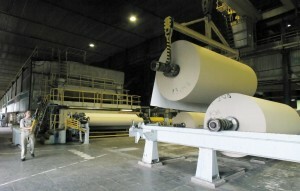 Scale deposition commonly occurs in all pulp and paper-making processes. Even with the purest water treatment, scale deposits can cause an array of operational issues, such as increased utility costs and lost production due to downtime. The following are just a few of the processes affected by scale formation. Condensate from the steam required for heating drying cylinders in paper machines is collected in separators. Because of the high temperature of the condensate, limescale can build up in the vacuum pumps. A particular temperature and humidity is required for storing paper, which is supported by air humidifiers. When scale builds up on the jets and filters, it necessitates their replacement, resulting in increased energy costs. Most paper mills have water treatment plants that receive borehole water. Due to the acidic nature of this water flowing into the plant, lime is added to the stream for neutralization. The buildup of scale over time reduces equipment life and affects the facility’s treatment capacity. Technologies have been developed that can be used to overcome problems caused by scale deposition. Sublime Water Scale Solvent provides a fast and safe way to address scaled equipment. 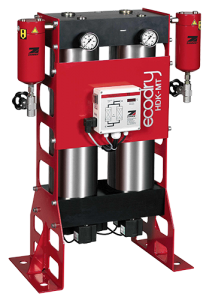 With the use of this Sublime descaler in VA, your process equipment can be returned to top operating efficiency. This entry was posted in Uncategorized on August 30, 2018 by 11688097. Did you know that dirty and clogged air filters are the main cause of heating and cooling system problems? When a manufacturer recommends how often air filters should be replaced, they aren’t just making a random suggestion. Regularly replacing your home or business’s HVAC filters is the best way to ensure the most effective and efficient use of your heating and cooling system. By leaving a clogged filter in an HVAC air filter housing, the necessary amount of air won’t be able to flow through the system. Not only will this result in discomfort, but you will also find yourself paying more for heat or cooling. The system will have to run almost nonstop to compensate for the lack of airflow, meaning higher utility bills. On old air filter can also lead to serious and expensive repair needs. The reduced airflow can cause your heat exchanger to overheat, or the evaporator coils to freeze. Eventually, the HVAC system could stop working altogether due to the internal damage. An emergency HVAC repair can be costly, and there’s no doubt you will save money by avoiding one with regular filter replacements. 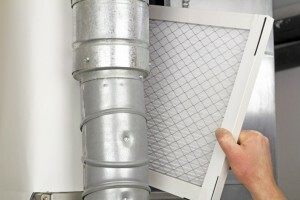 Don’t face any of the issues above when you can simply continue to change your filter. HVAC air filters are affordable, and you can stock up on a year’s supply with a reputable air filter supplier in Richmond. This entry was posted in Uncategorized on August 15, 2018 by 11688097. At Greenleaf Filtration, our products touch the lives of our consumers in positive ways every day. We supply a unique inventory of industrial filtration products, including Donaldson compressed air filters. Here are just a few of the industries that rely on compressed air products. 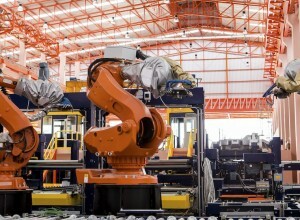 Automotive manufacturing requires strong quality control to ensure minimal product defects. Compressed air is an essential part of running the high-precision equipment used to build thousands of new vehicles every day. Maintenance downtime can be very costly, so it is important that compressed air and water are properly filtered from harmful contaminants that will negatively affect the equipment. Compressed air and liquids are an integral part of chemical production. Hazardous, corrosive and contaminated gases and liquids put product quality at risk; If not filtered properly, even the lowest impurities can cause costly delays in production. As the need for smaller electronic devices grows, so does the requirement for the highest purity standards in compressed air and water used in the semiconductor manufacturing process. In addition to inlet air filtration for process tooling, semiconductor manufacturing requires high levels of filtration for bulk air and water to meet critical purity requirements. The proper filtration of bulk utilities will extend the life of filtration devices and minimize downtime. This entry was posted in Uncategorized on July 30, 2018 by 11688097. Over time, the presence of scale deposits can affect the efficiency of equipment such as air compressors, heat exchangers, vacuum pumps, boilers, and cooling towers. Sublime Water Scale Solvent is available to return scaled processing equipment to top operating efficiency. Sublime is an enhanced 10% HCL compound. In the process of dissolving scale, it releases CO2, consuming approximately 1.5lbs per gallon while creating a disposable solution that is pH neutral and biodegradable. What type of material will it remove? Sublime is designed to penetrate and remove encrusted limescale, rust, dirt, and corrosion by-products, especially calcium and magnesium compounds. 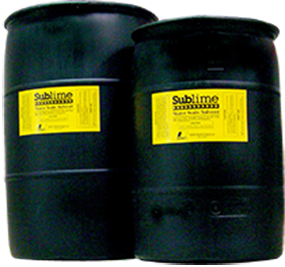 Used as directed, Sublime is non-toxic, non-corrosive, non-flammable and non-hazardous as regulated by OSHA and DOT. It is also certified by NSF International as meeting the USDA A3 standard food grade classification. Why does Sublime change colors? This is a visual indicator that your Sublime descaler in VA is depleted and it’s time to discard it. It has also reached a pH range of 5.8 – 6.0 and is safe for disposal. If the color has not changed and equipment is clean, the solvent can be saved for reuse. How do I know when Sublime is finished cleaning, and inaccessible parts are clean?Recirculated Sublime will remain yellow and rinse water should be clear. Consider the condition of exterior end caps and fins as a reliable indicator of interior cleanliness. This entry was posted in Uncategorized on July 15, 2018 by 11688097. No business owner wants to spend more money on equipment and resources than they have to, and this doesn’t exclude owners of hydraulic systems and equipment. This begs the question: how can you make your hydraulic oil go further and last longer? 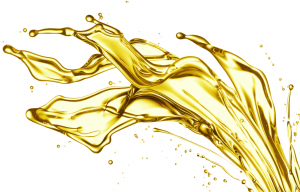 The following are three things that efficient hydraulic oil supplies have in common. Having clean oil means keeping particle contamination in the fluid at an acceptable level. Hard particles will accelerate wear of hydraulic components, while soft particles can cause reliability problems, such as filter clogging. Thus, it is important to understand oil cleanliness levels for different types of hydraulic systems, as well as the minimum level of filtration that is needed to achieve them. If you’re not sure how to determine this, contact the leading hydraulic filter suppliers in VA for assistance. The hotter the oil is, the faster the rate of chemical reactions, such as oxidation and hydrolysis. You can extend the life of your hydraulic oil by ensuring it stays at the appropriate temperature. Water poses a number of unwanted effects on hydraulic oil. When oil is hydrolyzed, lubrication is reduced, thus leaving critical surfaces open to corrosion and wear. It also depletes some additives and reacts with others, forming corrosive by-products that are harmful to some metals. This entry was posted in Uncategorized on June 30, 2018 by 11688097. Every home or business owner wants an HVAC unit that operates properly and keeps their home or office at the right temperature. However, most people also want a system that can do the job properly without burning a hole in their pocket. To ensure a system that works efficiently, here are some things to look out for that could be bad for your heating and cooling unit. Leaky air ducts have been found to be the biggest fault when it comes to wasting energy. They can be especially damaging in hot or humid weather, as occupants will usually lower the thermostat and waste even more money. Luckily, leaky air ducts can easily be tested and fixed. Some people assume that the higher the number listed on an air filter package, the better it will perform. Others will reach for whichever HVAC air filters in Richmond are the least expensive. Rather than going by the manufacturer’s marketing or price tag, check your HVAC manual for recommendations or speak with a professional. While vents aren’t the most attractive element in a home, attempting to hide them beneath furniture will prevent your HVAC system from running efficiently. 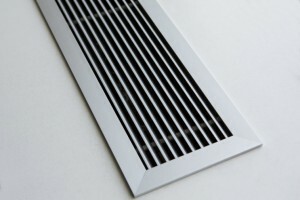 Keep vents uncovered and dust them often for a healthier and more efficient HVAC system. This entry was posted in Uncategorized on June 15, 2018 by 11688097. Compressed air systems represent about one-tenth of the total energy a manufacturing plant consumes. Here are some strategies to pursue for improving compressed air system efficiency without undergoing a full system replacement. Oversized valves don’t just waste energy, but they limit the real estate in machine and system designs. Choosing the right valves can reduce electrical costs. You can also use straight fittings wherever possible instead of elbow fittings to minimize pressure drops. It’s not uncommon for systems to apply pressures up to 100 psig for vacuum cups that only require 70 psig. Addressing this will result in noticeable savings. We also recommend looking for air economizing vacuum solutions that allow turning the vacuum off when parts aren’t present. Clogged filters result in increased maintenance costs. Visual and electrical sensors detect pressure drops as filters become dirty. An experienced industrial filter supplier in Richmond can help recommend a “smart” air preparation system that will ensure sufficient airflow. 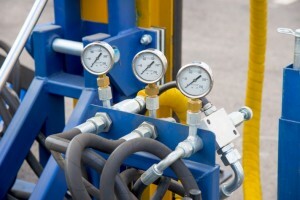 In some plants, up to 30% of a compressor’s output can leak away through loose or faulty hoses, fittings, valves, etc. An ultrasonic acoustic detector can help track down these leaks so you can repair them sooner. This entry was posted in Uncategorized on May 30, 2018 by 11688097. Aside from human error, the most common source of hydraulic system failure is fluid contamination. In fact, it is estimated that up to 90% of hydraulic failures result from contaminated fluids. Contamination can exist as solid particles, water, air and reactive chemicals – all which can negatively affect fluid functions in one way or another. If any of these functions are debilitated, the system will not perform as it should, and sudden, catastrophic failures become possible. The repairs needed and resulting downtime can easily cost a facility thousands of dollars. This being considered, an effective program to minimize and remove contaminants must be implemented. We suggest that you perform an oil analysis to determine what types of contaminants are present in your fluid. Keep in mind that you must collect samples from each piece of equipment, as types of contaminants can vary from one another. To maintain a clean hydraulic system, perform a complete flush of all systems before initial start-up. You should also contact a hydraulic filter supplier in VA to ensure you are using the best-quality elements in all filter housings, and that you are changing them as often as recommended. You should also make sure to use a quality breather on your reservoir, and repair any leaks as soon as possible. This entry was posted in Uncategorized on May 15, 2018 by 11688097.